A more specific weather report through smaller-scale forecast; smoother flow of traffic through elimination of felon vehicles and a more responsive food provider through exigent report of scarcity. These may come across as some of the items in our country’s wish list, but to some senior high school students all it takes are the right tools, a bigger vision and ingenious construction. 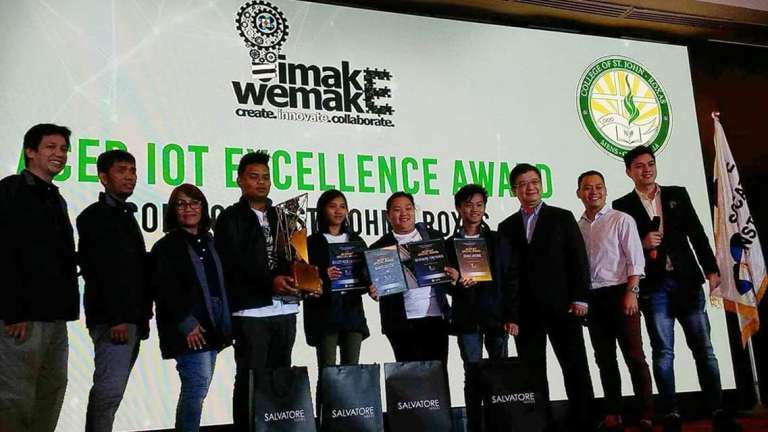 From orthographlc drafts to now the country’s next great inventions, these are just some of the prototypes that made it to the final round of the Department of Science and Technology Science Education Institute (DOST-SEI)’s ”Imake.Wemake” contest. 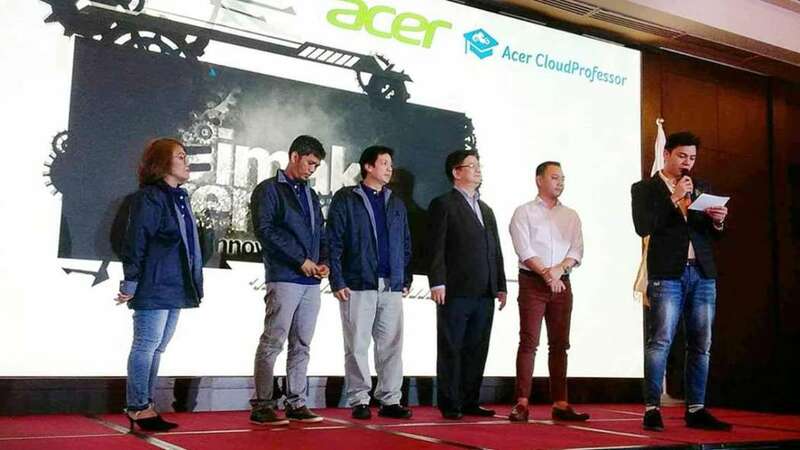 Marking its second run, the competition upgraded this year with the first lnternet-of-things toolkit (loT), the Acer CloudProfessor. 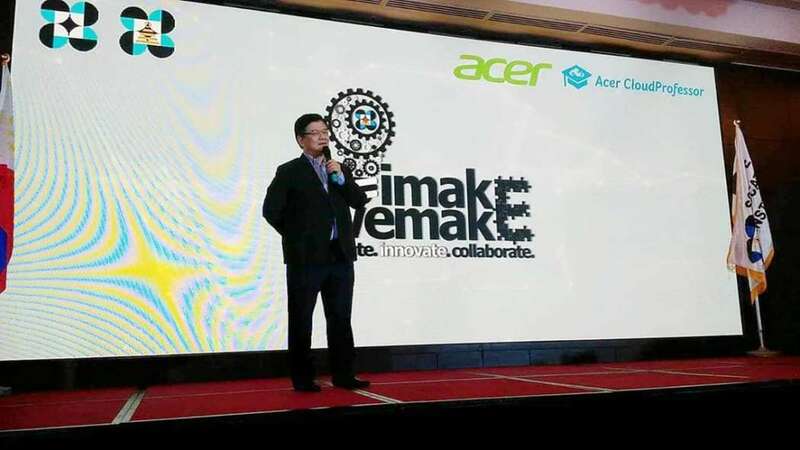 DOST-SEI has partnered with local ICT giant, Acer Philippines, to help students incorporate IoT in their creations through simplified coding and programming. From 65 teams, only 16 advanced to the second part of the competition which is the 5-day free training and pitching programs. During this stage, the contestants were given hands-on training on the Arduino digital and analog system and Acer CloudProfessor to power their projects. Once their projects are built, the 48 student-contenders, together with their coaches, pitched their inventions to DOST-SEl’s selected board ofjudges. As the competition come to a close, the 16 team-flnalists; Centro Escolar University-Manila, College of Saint John-Roxas, De La Salle University Integrated School-Laguna, Dr. Yanga’s Colleges, Grace Christian College, Masbate National Comprehensive High School, New Era University, Philippine Science High School (PSHS)-Cagayan Valley, PSHS-Cordillera Administrative Region, PSHS-Central Luzon, PSHS-Central Visayas, PSHS-Eastern Visayas, Rizal National Science High School, Santa Rosa Science and Technology High School, Taguig Science High School, and Technological University of the Philippines-Cubao, are set to present their final outputs, from which 3 of the most outstanding projects will receive the Youth Innovation award and PHP 50,000 cash prize. From 2016’s smart hydropower-generator, intelligent imaging management system and water-Ievel rise alert system, this year’s winning projects are highly anticipated. The shortlisted teams target to address various challenges ranging from the loss of productivity due to heavy traffic, the accuracy of weather reports and the modernization of the agricultural industry. Inspired by the true-to-Iife struggles, the finalists have shown their vigor in completing their projects using this year’s coding devices. “These students are powered not just by our CloudProfessor but by their intent to solve problems.‘ Mr. Wong said, “For this reason, choosing from their inventions will be a difficult job for the judges. the competition concludes, 2018 partner Acer looks forward to the continuity of the effort of motivating young developers. 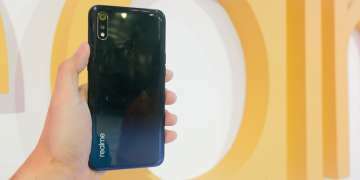 “By giving these students more avenue to do more with technology and the reliable tools that will suit their skills, they can continue to take part in solving the country’s problems.” Wong added. 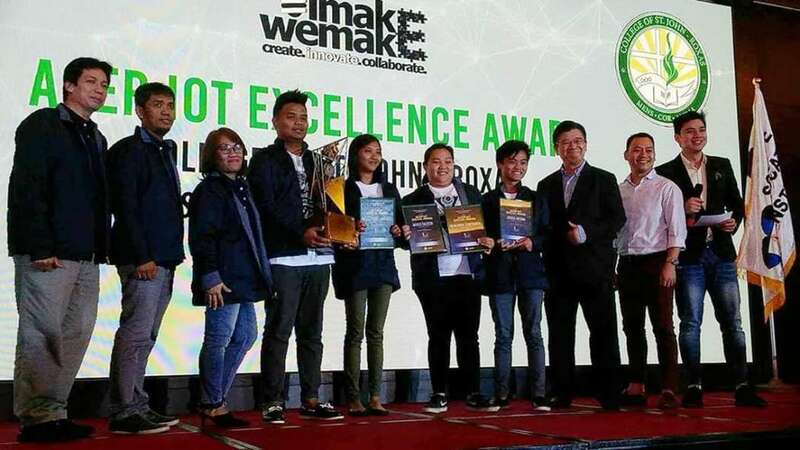 The awarding ceremony of DOST’s lmake.Wemake was held last December 4 in Crimson Hotel, Alabang.